In recent years Israel has been developing approaches to combat the criticism it receives, both for the lack of progress towards peace with the Palestinians and increasingly for policies it develops and implements. Since the publication of the report, it would appear Israel has taken its recommendations on board. It has certainly strength­ened its relationship-based diplomacy with elite figures and institutions, most significantly perhaps in the United States and Britain. All major US presidential candi­dates in 2016 except Bernie Sand­ers addressed the conference of the American Israel Public Affairs Committee (AIPAC) — the main Is­rael lobby group — affirming their unequivocal support for Israel. In Britain, Prime Minister Theresa May addressed the Conservative Friends of Israel expressing her unshakeable commitment to the country. Israel has attempted to draw a distinction between “legitimate criticism”’ and ”demonisation and delegitimisation” by trying to establish a line of criticism that, if crossed, moves into demonisation and criticism. Here, too, Britain and the United States have moved to support this and indeed to accuse the United Nations and some of its agen­cies, including the Human Rights Council (UNHRC) and UNESCO, as having crossed it. Britain put the UNHRC “on notice” for its focus on Israel and the United States re­cently moved to shift the focus of the UN Security Council’s security concerns in the region to Iran. A special focus of Israel’s efforts to distinguish between “critics” and “deligitimisers” has been the Boycott, Divestment and Sanc­tions (BDS) movement. While on the one hand dismissing its effectiveness, it has identified it as an “existential threat.” It set up a task force, initially funded with $25 million, under the Strategic Affairs Ministry led by Gilad Erdan to target the BDS movement. Erdan concluded by stating that Jewish communities around the world play a crucial role. Telling them “you are on the ground and know what is going on.” “I can’t do it alone. We are all on the front line together,” he said. 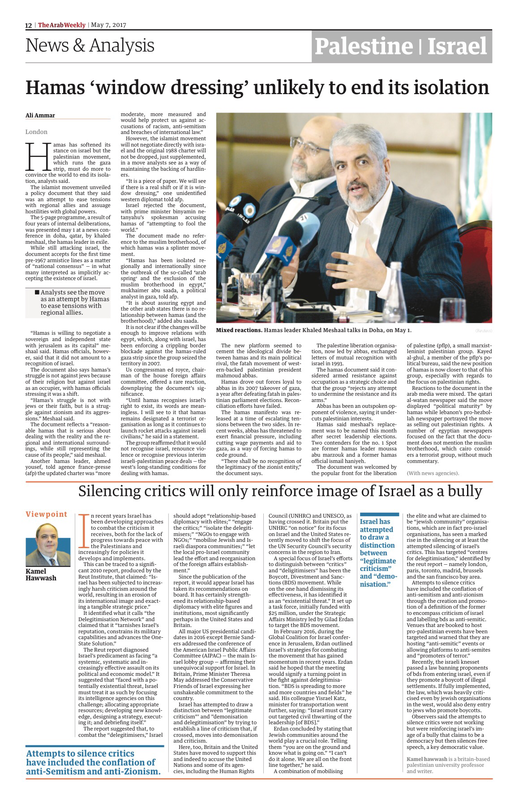 A combination of mobilising the elite and what are claimed to be “jewish community” organisa­tions, which are in fact pro-israel organisations, has seen a marked rise in the silencing or at least the attempted silencing of israel’s critics. This has targeted “centres for delegitimisation,” identified by the reut report — namely london, paris, toronto, madrid, brussels and the san francisco bay area. 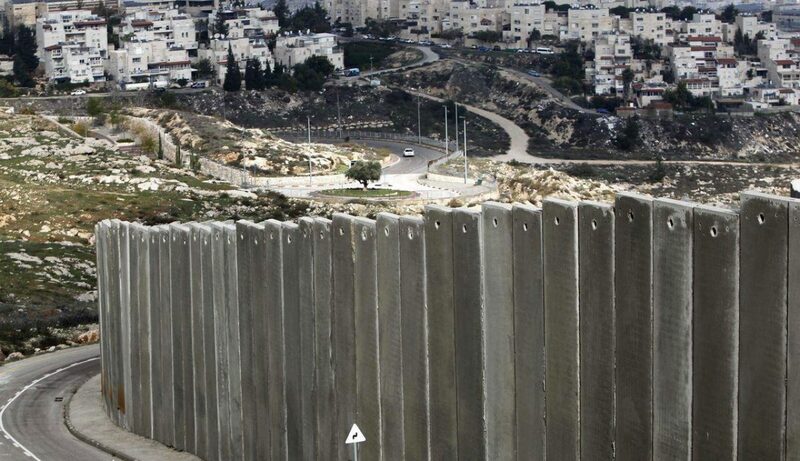 Recently, the israeli knesset passed a law banning proponents of bds from entering israel, even if they promote a boycott of illegal settlements. If fully implemented, the law, which was heavily criti­cised even by jewish organisations in the west, would also deny entry to jews who promote boycotts. ﻿Observers said the attempts to silence critics were not working but were reinforcing israel’s im­age of a bully that claims to be a democracy but then silences free speech, a key democratic value.